Read the Conservative/Masorti Movement Response to New Zealand Shooting that occurred on March 15, 2019. FJMC is a co-signer of this document. Convention 2019 - Register Now! These events are sure to sell out, don't be disappointed! At the left you will find a photo taken at the November 12, 2018 Leadership Development Institute in Maryland. It shows Irwin Harris of the Tri-State Region Tree of Life congregation, with Alan Pressman of the Hudson Valley Region. Irwin is wearing a "Stronger than Hate" T-shirt. This 'Stronger Than Hate' logo has been adopted as one response to the terrible events in Pittsburgh which eleven Jews were killed during Shabbat Services. Please consider purchasing a "Stronger than Hate" T-shirt at the www.pittsburghstrongerthanhate.com website. The sanctuary, where much of the shooting occurred, is deemed to be uninhabitable in as much as the congregants no longer feel comfortable praying in the defiled sanctuary. At least $6 per shirt goes to the Tree of Life congregation. As of November 18, 2018, $60,000 had been raised for Tree of Life from the sale of these shirts. There is a link a video on the company that is printing the shirts that you may find here. The FJMC Statement on the Shooting at the Tree of Life may be found here. Gentlemen, I have the sad duty to tell you that our friend and esteemed member, Steven Krodman, succumbed to ALS Friday night, January 11th. 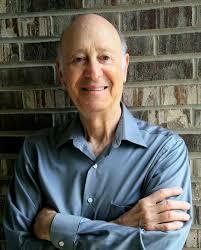 The funeral will be at Congregation Etz Chaim, Steve’s shul, in Marietta, GA. at 11:00 am on Monday, January 14. Steve leaves his wife of over 40 years, Donna, his daughters Melissa and Jocelyn and granddaughter, Nanu (Naomi). His life touched hundreds an active member of Etz Chaim, and as a the past president of the Anshei Darom Region, and he touched thousands through the myriad of FJMC activities he either led or was part of over the years. Steve was an integral part of the FJMC 2019 Convention committee as one of the 2 chairman. He was involved with planning and decisions up until the last month or so, and we will discuss how we will honour his memory in the next few days. Funds are needed to help offset some of the costs of the shiva, as Steve and Donna moved into a community with very little street parking, requiring expensive valet parking to keep the parking manageable. Those donations can be made through the FJMC website, just indicate your choice in the comments area. We will have a broader e-mail sent to our members as soon as possible. Eric Weis of the Northern New Jersey Region! The prize is a foursome - If you golf, invite your friends and colleagues to buy tickets as a group to increase your odds of winning a trip together. It's Exciting and Goes to a Great Cause! Booking arrangements made through Pebble Beach. Deadline to buy a ticket: October 31st, 2018 at midnight Eastern Time. We join Jewish organizations and communities across North America and beyond in expressing our grief over the shooting attack Saturday, October 27, 2018 at Tree of Life Synagogue in Pittsburgh. Unfortunately, we now know that the victims include Daniel Stein, past president of the men's club there, several other members of that club, as well as family members of our brothers across the continent. Many of our leaders from the Tri-State Region (comprising the greater Pittsburgh area) learned of the attack during Shabbat morning services for their biennial retreat with leaders from the KIO (Kentucky-Indiana-Ohio) Region. It is a testament to the brotherhood and the life-affirming principles that underscore FJMC's mission that the retreat participants comforted each other both by recognizing the shock and pain arising from this tragedy and by continuing to celebrate Shabbat together in part as a tribute to the victims of this attack. Sadly, we at FJMC know that this deadliest act of anti-Semitic violence in American history represents merely the worst example in a rising trend of hatred for Jews and other minorities and marginalized groups in our society. 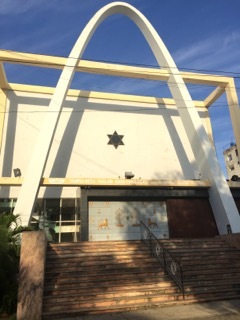 Even worse, early reports now suggest that the perpetrator targeted Tree of Life because the congregation served as a Pittsburgh venue and co-sponsor for National Refugee Shabbat, a program that underscores values at the heart of one of the FJMC's signature programs, the Yom HaShoah Yellow Candles project. Over 35 years ago, when FJMC leaders in Boston and Toronto created the Yellow Candle, they did so not just as a vehicle for home observance of Yom HaShoah, but also in order to raise funds needed to secure ransom for Syrian Jewish refugees. Our brothers, now of blessed memory, understood that "Never Again" means that hatred and violence targeting any marginalized people cannot be tolerated anywhere at any time. And now, here in what is supposed to be a safe place, the madness continues. Is it simply hatred? Is it fear of the other? We have to keep asking; we have to keep searching; we have to speak out - on our own behalf as targets of hatred, and on behalf of others who do not have a voice to be heard - so that hopefully, eventually, we will be able to make this kind of madness stop. We therefore re-commit ourselves to honoring the origins of the Yellow Candles program in order to continue advancing lessons from Jewish history and tradition. We must respond to these forces of darkness by shining light into our communities, and we can do that in part by embracing the enduring mission that is at the heart of our Yellow Candles program. FJMC Officers & Members: Add your name to this list. Get Ready for Convention 2019 in Toronto on July 3-7. You don't want to miss our 2019 International Convention. Toronto is a great place to plan a family vacation, with the CN Tower, Ripley's Aquarium of Canada, St. Lawrence Market, Royal Alexandra Theatre, Steam Whistle Brewery, Hockey Hall of Fame, and a host of other attractions for your entire family. Back for 2019. WWW Hats! 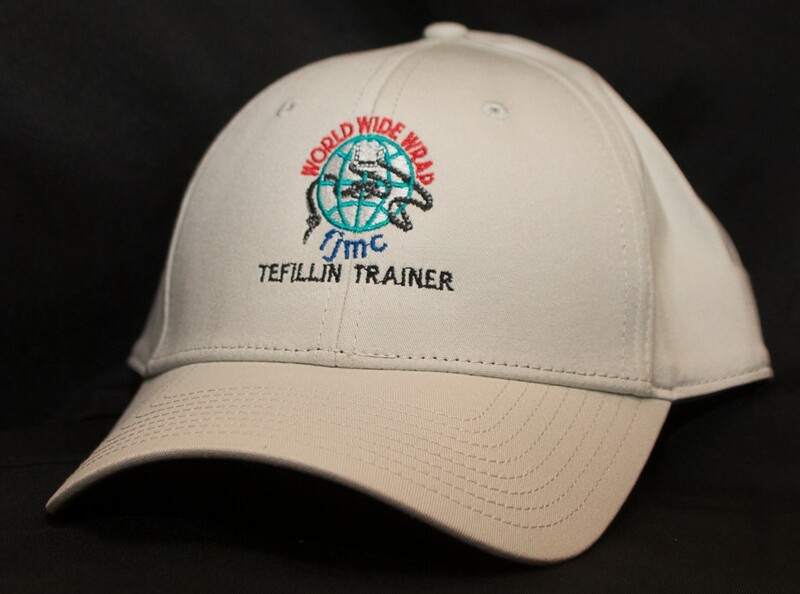 World Wide Wrap hats are now available from a separate website. They are great for those who are training others to put on tefillin. They will make your 2019 Wrap extra special. We recommend that you go to the top bar of the linked website and choose "shop by logo". It will show you both logos. Choose the logo you want. Then choose the style. The hats range in price from $23.00 to $24.95. The $24.95 hat comes in specific sizes. We are brothers. To deny one of us is to deny us all. We endorse and applaud the following statement from the Rabbinic Assembly on the Israeli government's refusal to grant Aliyah to Kibita Yosef, one of our members in Uganda. In a blow to the unity of the Jewish people, Israel’s Interior Ministry last week rejected the aliyah application of Kibita Yosef, a member of the Abayudaya Jewish community of Uganda, currently in Israel as a volunteer on a kibbutz. Explaining its May 31 refusal, a ministry spokesperson reportedly stated, “This is a matter of principle regarding conversions in this community — it is not about one specific applicant.” But such a statement amounts to a de facto dismissal of the legitimacy of the 2,500-strong community that has been practicing Judaism for a century. It is outrageous, disrespectful and very possibly unlawful for the Interior Ministry to reject the validity of conversions performed abroad by a major Jewish movement. The Abayudaya Community are members of Masorti Olami (World Council of Conservative/Masorti Synagogues). This decision reverses over two decades of government policy that has conferred Jewish status for purposes of immigration and citizenship on those who convert abroad through a major Jewish movement. It is not only an affront to the Abayudaya, but also to the entire worldwide Conservative/Masorti movement. This announcement comes on the heels of other hostile acts from the government toward African converts to Judaism, including the government’s forced deportation last December of Yehuda Kimani, who arrived in Israel with a valid visa to study at The Conservative Yeshiva in Jerusalem. Israel should be home to the entirety of the Jewish people, and not cede to sectarianism or to the whim of whichever political parties or chief rabbis happen to be in power at the time. We stand with Kibita Yosef, the Abayudaya member whose application for permanent status under the Law of Return triggered the Interior Ministry’s verdict. He is a Zionist just as we are Zionists. He is a Jew entitled to Israeli citizenship, just as we are, and we will support his appeal of this decision to Israel’s High Court of Justice. 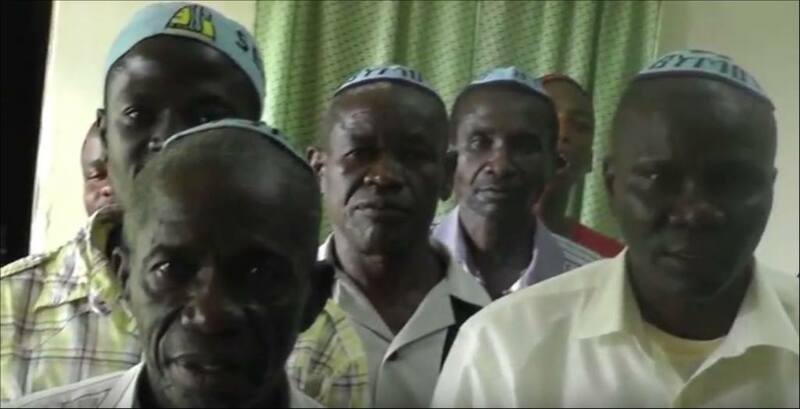 We stand with all the Jewish Abayudaya people and all our Jewish communities of Africa and the world. And we demand that the Interior Ministry reverse its decision immediately and accept Kibita Yosef's aliyah. Moving forward, we are committed to using all means at our disposal to achieve this result for him, and for all the other Kibita Yosefs in the world waiting to make aliyah. 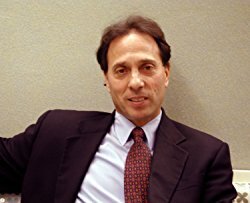 Our friend, mentor and teacher, Dr. Burton L. Fischman, Z-L, passed away April 3, 2018. This is indeed a sad day, and the men of the FJMC shall miss his great wisdom and personality. If you would like to make a contribution to honor Burt's memory, click the button below: To post a comment, which will be posted here and shared with Burt's family, you must be logged in. On February 11 & 12, 2018, the FJMC Executive Committee held a meeting at the Jewish Theological Seminary in New York City. 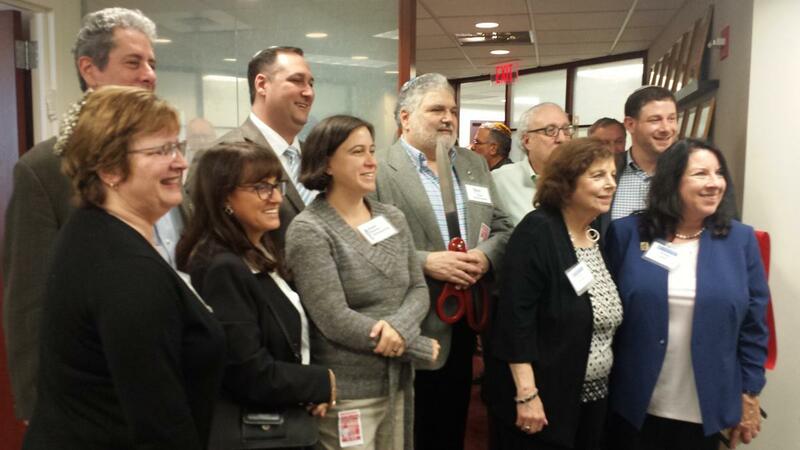 On Monday, a ribbon-cutting ceremony took place at our new shared office space with Women’s League in the Interchurch Center near JTS. The new office is on the same floor as our previous office. The advantage of our sharing office space is lower expense and increased synergy between our two arms of the Conservative movement. One advantage of holding the meeting at JTS is that we were able to join the morning service in the sanctuary in the bell tower section of the seminary. The ribbon cutting took place on Monday. Attending the celebration were (L to R, rear row) Gideon Aronoff, Executive Director, Masorti Foundation; Hazzan Zach Mondrow, Cantorial Assembly; Stan Greenspan, President, FJMC; Steve Portnoy, President, Men of Reform Judaism; Rabbi Andy Shugerman, Executive Director, FJMC, (L to R, front row) Rabbi Lilly Kaufman, Executive Director, Torah Fund; Linda Sussman, United Synagogue of Conservative Judaism; Rabbi Ashira Konigsburg, Rabbinical Assembly; Lucy Becker, Women's League for Conservative Judaism; and Vivian Leber, Women's League for Conservative Judaism. "In the wake of ongoing revelations of alleged sexual misconduct, including the willingness of more and more women, and sometimes men, to tell their stories publicly, the Conservative Jewish movement condemns the behavior of those who use their positions of power to take advantage of others. We must be better attuned to these incidents, develop procedures and policies to prevent them, and condemn and when appropriate prosecute the perpetrators. Jewish tradition prohibits physical or sexual abuse and teaches that kvod habriyot, the dignity of each person, is to be honored and maintained, and that onaat dvarim, verbal, and by extension other nonphysical abuse, is strictly forbidden, and cannot be tolerated at any level. We must work to ensure that our Jewish organizations and also our society at large emphasize standards of propriety and respect, and that we have in place policies and structures where those abused or harassed can safely report incidents and know their concerns will be taken seriously. We agree with the Child Safety Pledge, signed by top philanthropists in the Jewish world who have committed to support only those schools, camps and other institutions that work with children to take steps to 'prevent, report and investigate sexual abuse of minors.' 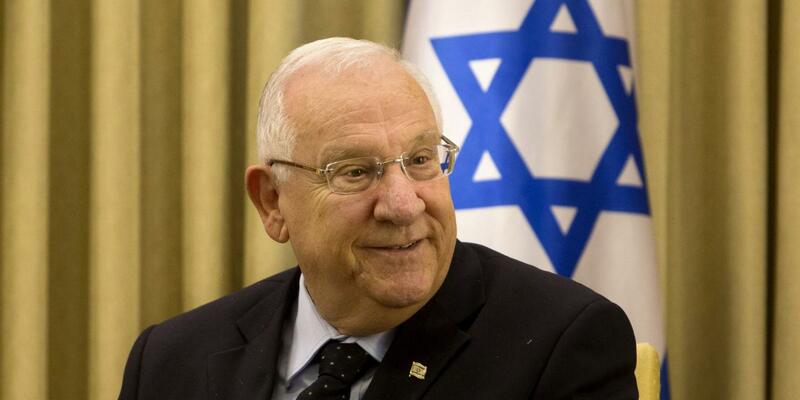 Let us ensure that our Jewish institutions meet their criteria." Below, please find a statement protesting recent policies in Israel that severely curtail expressions of religious pluralism. The statement was presented on Tuesday, July 18, 2017 in the course of a reception at the Israeli Embassy in Washington, DC attended by delegates of the Biennial Convention of the Federation of Jewish Men's Clubs and the Men of Reform Judaism. Drawing over 500 attendees from the United States, Canada, France, Uganda, and Argentina, this interdenominational gathering marks the first time that both groups have co-hosted a convention. The statement's authors and co-signers represent a consortium of liberal Jewish groups, spanning both the Conservative and Reform movements and comprising The Masorti Foundation for Conservative Judaism in Israel, ARZA, MERCAZ, The Cantors Assembly, The Women's League for Conservative Judaism, The Women of Reform Judaism, The Men of Reform Judaism and The Federation of Jewish Men's Clubs. In light of those facts, it is painful to describe the anger, frustration, disillusionment and disappointment throughout our communities concerning the most recent developments with regard to the Kotel, conversion and the authority of the Rabbanut (Chief Rabbinate of Israel). These developments, offensive as they were, unfortunately do not stand in isolation but are only the most recent manifestations of a lack of respect for nonOrthodox Jewry both in Israel and in the Diaspora. It is not our purpose today to recount a litany of betrayals of the religious ideals and values on which the State of Israel was founded, a State meant to be the homeland for all Jews. We know, and you know, that we are speaking of more than just what has transpired over the last few weeks; nonetheless, to embrace what, in some ways, is a Middle Eastern metaphor, these straws have broken the camel’s back. It is important for you to understand, and therefore we emphasize it, that this is not some pro forma protest which can be air-brushed away. This is not a debate about geo-political issues. Rather, it goes to the heart of whether Israel perceives non-Orthodox Jews as legitimate. It is beyond absurd that Israel is the one democracy in the world where Jews cannot freely practice their faith in accordance with their beliefs. The government’s actions risk dividing the worldwide Jewish community at a time when it must remain united. We count on you to make clear to the Prime Minister, the Israeli Government and Members of Knesset, that a few soothing words or exhortations for patience will not fix this. We expect concrete actions. It should matter to you that we care about all of this not only because of our own commitment to Israel but also because we want our children and grandchildren to share that love for Israel – and we are at risk of that not happening. Rabbi Charles Simon will retire from his role as FJMC Executive Director after the International Convention in July. FJMC is putting together a Festschrift which will provide a historical perspective on the impact Rabbi Simon and the FJMC have had on the Conservative movement over the last 35 years. We who love and respect Rabbi Simon and his contributions to Conservative Masorti Judaism through his leadership of the Federation of Jewish Men’s Clubs are invited to honor and give tribute, and thank him for making a difference in our lives. His vision and mentorship has provided us with the support to be the leaders of the Conservative/Masorti movement in the 21st century. 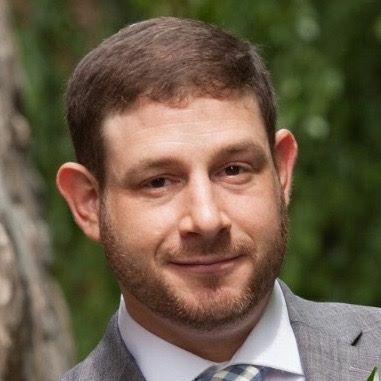 We also now acknowledge that FJMC through Rabbi Simon has become important to the Men of Reform Judaism as they rebuild with the vision and support of FJMC programming and resources. Alan Cooperman of the Pew Research Center made a presentation on Jewish Demographic Trends at the FJMC Keruv Advanced Training Workshop in Bethesda, Maryland on March 17, 2017. Please see the below video, or for all four parts of the presentation, please follow this link. 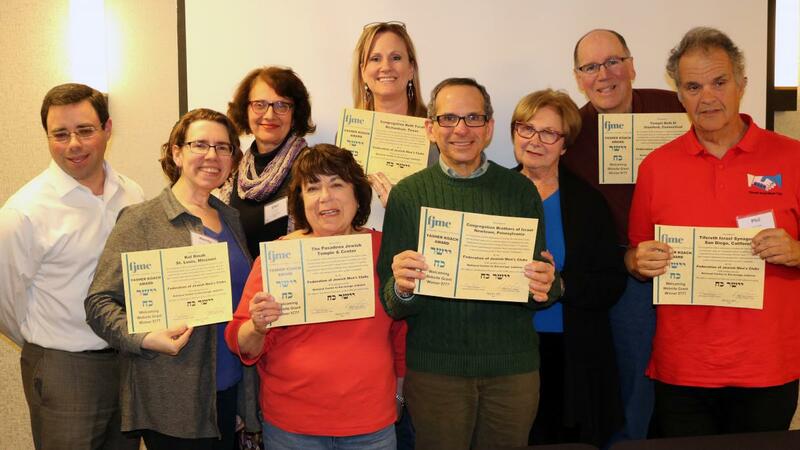 The FJMC, with funding from the National Center to Encourage Judaism, has awarded $1,000 grants to twenty Conservative/Masorti Congregations in North America that met requirements for a welcoming website. An application and proposal were submitted online, and the project was to be completed by March 6, 2017. A list of the winners with their website addresses are below. A photo of representatives of the award winners who attended the FJMC Keruv Advanced Training Workshop in March 2017 is shown. For additional photos, please follow this link. In addition, incoming President Stan Greenspan will be selecting four additional men to serve on the Executive Committee. We wish all the nominees a hearty Mazel Tov, Yasher Koach for the work that got them to this point, and for the efforts on behalf of the FJMC they'll be making in the coming years! We also want to acknowledge the work of those whose terms on the Executive Committee are ending (Vice Presidents - Mark Druy and Gary Smith; Treasurer - Dave Mandell; At large - Greg Pollack), Yasher Koach for the work that you have done for the FJMC. This year, 2017, the international Federation of Jewish Men’s Clubs (FJMC) brought the annual “World Wide Wrap” to Cuba because we recognized that here we could serve a population of Jewish people yearning to bind themselves to their Jewish identity. For further details and photos follow this link. Follow this link for a white paper, "The Elephant in the Room: Conservative Judaism and the Patrilineal Question" by Rabbi Charles Simon. A descriptive video explaining Rising is now available by clicking here. As a result of growing international interest in commemorating Yom HaShoah, FJMC with the aid of noted artist Elyssa Wortzman developed, Rising. 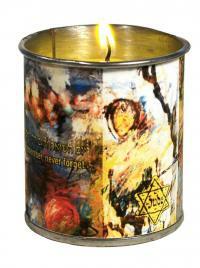 The Yellow CandlesTM label, employing Hebrew, Spanish, French and English reflects FJMC’s cooperation with World Jewry. Partners in this endeavor at the Seminario Latinoamericano, Marshal Meyer in Buenos Aires and the Men of Reform Judaism. The label addresses the question "How do you transmit memory and loss to someone who does not have a direct connection to the past event?”, an increasingly familiar theme today as fewer survivors of the Holocaust remain. Candles and programmatic material to enrich Holocaust engagement can be found at the Yellow CandlesTM home page. Yellow CandlesTM featuring Rising will be shipped out on a first come first served basis. Remaining orders will be filled from stock featuring The Mission - by Israeli Artist, Dubi Arie. Sustainably sourced compostable dinnerware is an appropriate option for FJMC Club Functions. FJMC has a special purchase agreement with World Centric. World Centric is committed to 100% certified compostable products made from renewable, plant-based materials. From cups, plates, bowls and cutlery to trays, to-go containers, napkins and garbage bags, their 200+ product line meets your foodservice needs both at home and in professional settings. Their products are non-toxic and require less energy to make than petroleum-based products. Best of all, these products will turn to soil when composted, allowing the process of growth to begin again. When you register and apply the coupon code, you will receive a 15% discount. 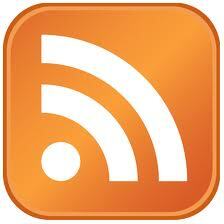 Please review our Shomrei Ha'aretz webpage to find out on how to set up an account. Hearing Men's Voices ("HMV") is one of FJMC's most popular programs. HMV engages men in Jewish life by building male relationships and extending Jewish community. HMV facilitates intimacy among men through dialogue. Men meet in groups to discuss common issues. The quality of dialogue can be rich and enjoyable. Sports have been a special draw for men. The FJMC has planned a session on men and sports and prepared a short booklet as a guide: Physically Competitive Sports (You and Your Child) A Facilitator's Guide. We invite you to use this as a springboard for other sesssions on sports, movies, religion, relationships, humor, television, youth, aging - there is a world of ideas for discussion. For further information on Hearing Men's Voices visit the Programs section our our website. Early in July, campers from Camp Ramah - Wisconsin were singing along with Norm Kurtz, Orin Rotman and Evan Rumack of Congregation Beth Judea Men’s Club in Long Grove, Illinois. Norm, Orin, and Evan led educational sessions with Solelim and Shoafim about the laws and customs associated with wearing tefillin and answered a variety of questions from campers. We’re very grateful to Norm, Orin and Evan for making the trip to camp and for facilitating a contribution of 15 sets of tefillin to Camp Ramah in Wisconsin. Yasher Koach to Congregation Beth Judea Men’s Club, the Midwest Region of the Federation of Jewish Men’s Clubs, the International Federation of Jewish Men’s Clubs, and various individuals for this meaningful gift. The FJMC has launched a Friends of FJMC Campaign. Those willing to pledge a minimum of $18.00 a month will help ensure that the organization's programs and influence is sustained in the months and years ahead. To learn more about this exciting initiative and how YOU can become a part, click here. The site of the 2017 FJMC International Convention is the Marriott Crystal Gateway Hotel in Crystal City, VA. There will be programs starting on Monday evening, July 17th. Washington is a great place to plan a family vacation, with the Holocaust Museum, the Israeli Embassy (a FJMC Reception will be held on Tuesday night at the Embassy, so you'll want to plan to get to Convention early), the Smithsonian Institution and its incredible museums, National Gallery of Art, the Newseum, the Washington National's Baseball Stadium, the Capital, and a host of other attractions for your wife and family. The dates of the Convention itself are Wednesday, July 19 - Sunday, July 23, 2017. The Woman's League, the parent organiztion of your congregation's Sisterhood, will hold thier Convention immediately thereafter, starting on that Sunday, July 23rd. Visit the Convention Registration Site for more information. Bill Becker & Joe Swerdlow, Convention Chair & Co-Chair, are planning an exciting time. 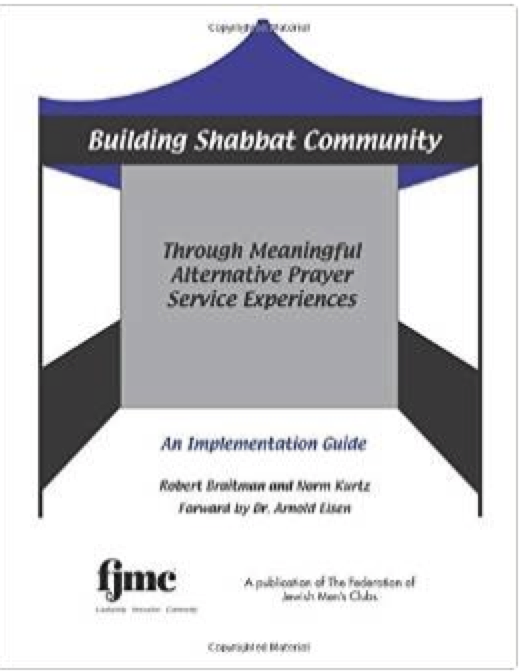 Since the traditional Shabbat service isn't to everyone's liking, this book, written by Dr. Bob Braitman and Norm Kurtz, two Past International Presidents of the FJMC, and actively involved in exploring other ways to get people involved in prayer, is an excellent resource for experimenting with other types of services which will get members into the door and involved. Sold through Amazon.com, the paperback book is available to be ordered, by clicking on the image of the book. The FJMC and the Cantor's Assembly have jointly published "A Guide to Introducing a Meditative Experience in Congregations." The preface to the paper is available on the following page link (click here), where a complete copy of the paper, in pdf format, can be downloaded from the link at the bottom of the page. Convention Tribute Journal Now Open! Whether it is to congratulate your club's new officers, or your region's Ma'asim Tovim Honoree, your newly elected Regional Officers, or one of the newly nominated international officers, the Convention Tribute Journal is now 'OPEN FOR BUSINESS / TRIBUTES" and you can place your tribute by clicking on this link. Tools for Your Shuls, a new newsletter has been launched by the FJMC. It provides congregational leaders and clergy 'tools' and ideas to implement outreach for your congregation, due to the changing demographics of the Jewish community. To subscribe to the newsletter, click here. To download the first issue, click here. Tribe Magazine, an electronic and hard copy publication for the greater Los Angeles, California Jewish community, highlights the fact that Men’s clubs offer a place for'good ol boys' in Los Angeles, to get and stay involved in their synagogue. The article explains that Men's Clubs can be serious, practical or just plain fun. Read the artticle by clicking here. Why is it that the use of the Mikvah is one of the most neglected observances, and even - G-d forgive us - a joke in some circles? Times are a changing and more and more Jewish men are discovering the spiritual cleansing and purification of the Mikvah in a spa like environment that is private, clean as well as being darn right luxurious. If there is a joke, it's because many Jewish men still do not know this. For further information and to read the article, click here. While most of the news involving the United Nations is negative with respect to Israel, our FJMC representative to the UN (as NGO - Non-Goverment Organizations) reports on where the contributions of Israel are being appreciated and suggested implementation for other nations. To read the report, click here. 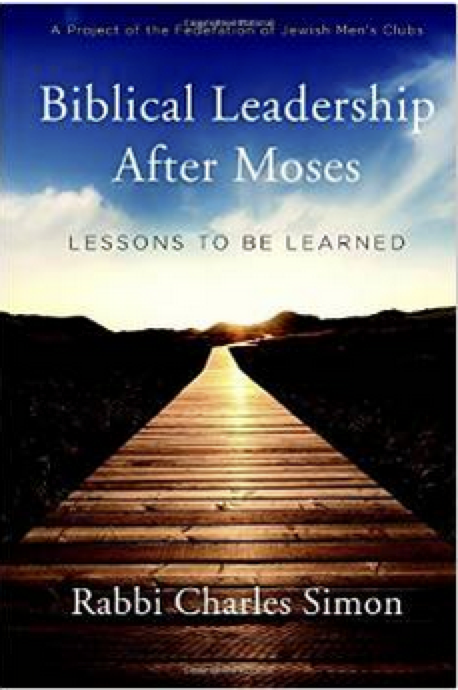 Strategies for Clergy and Lay Leadership is a new publication by Rabbi Charles Simon, and can be used by any synagogue seeking to adjust to demographic change as a blueprint for discussion and planning. It provides a step-by-step guide to inclusion, taking into consideration the unique culture of each community. To find out more, or to purchase it, click here. The FJMC has published an Implementation Guide for its recent publication - "Jewish Men at the Crossroads." Jewish Men at the Crossroads represents the most comprehensive collection of Hearing Men’s Voices (HMV) essays to date. The book offers thought‐provoking essays and discussion questions on topics of critical importance to men, andwhich can be used to effectively engage men through HMV programming. HMV is that rare program which costs nothing to run, but pays dividends for many years to come. 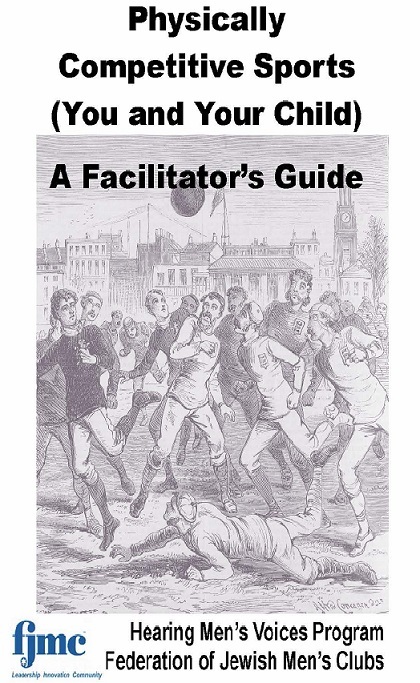 Running an HMV program using this implementation guide and the Crossroads material will help engage men of all ages more actively in your club. In addition focused programming around this book can be an important tool to attract new members. Sessions can be facilitated by anyone with an interest in the topic and a willingness to stimulate conversation. HMV discussions can be targeted to any demographic group in the club or region and is a perfect small group activity. The Implementation Guide is available in Leadership Documents (you must log in to see the Menu item) or at the Hearing Men's Voices page. In his July 2012 article, “A Game Plan for Renewal: The Demise of National Movements and their Rebirth,” Dr. Steven Windmueller of the Jewish Institute of Religion at Hebrew Union College reports on his research showing that many religious, political, fraternal and social movements in North America are in decline. He offers several reasons including increasing membership costs, multiple competing causes and interests, the replacement of traditional memberships with social networks, and the lesser interest and loyalty of younger adults to their parents’ institutions. He further suggests that “an increasing secularization of American postmodern society” intensifies this trend for many diverse liberal religious groups, and cites the substantial decline in membership of Conservative synagogues over the past decade as an example. There is now an easier way to access the Club and Regional Officer manuals. Just log on to the website (through the Member Log on) and you'll be presented by a new Leadership menu, and within the Leadership Menu are Leadership Documents. You'll see the manuals as the first two entries in the table, and you'll be able to download the pdf's to your computer or mobile device. As FJMC works to build and strengthen men’s clubs and at the same time collaborate with other arms of our Movement to address the issues facing Conservative Judaism, it’s been very enjoyable and rewarding for me personally to be able to form good relationships with the leadership of these other organizations. The presidents of United Synagogue and Women’s League and I meet by phone every other month; I serve on the Boards of JTS, the Ziegler School, and Mercaz; and I’m a member of the Leadership Council of Conservative Judaism which includes the professional and lay leadership of every arm of our movement. To read the entire blog, click here. An FJMC Keruv Rabbinic Think Tank that took place in Metuchen, New Jersey, December 2-3, 2013. 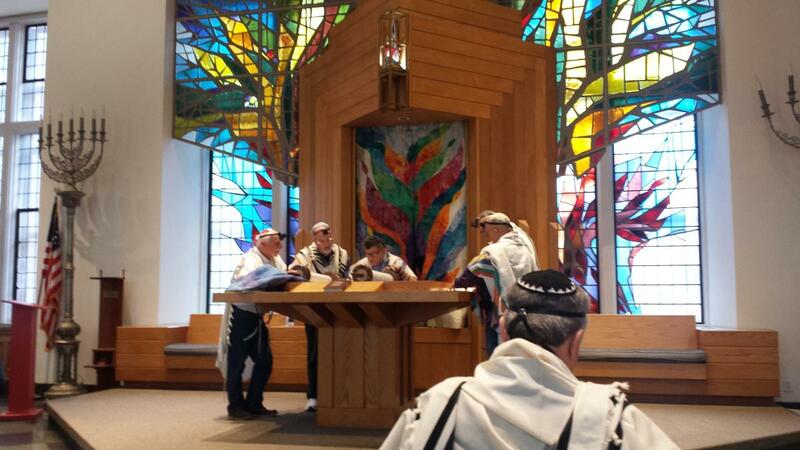 Twenty-nine congregational rabbis and two Cantors were in attendance. To read the minutes of the proceedings, click here. 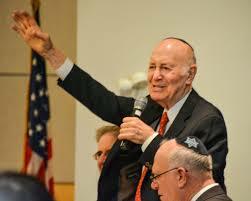 Synagogues be in 5 years? 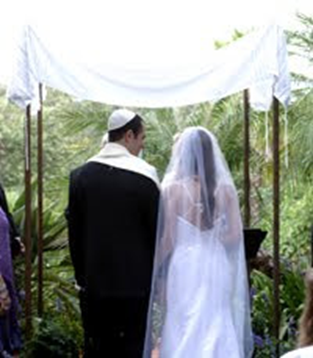 In this thought provoking article by Rabbi Charles Simon, FJMC and Rabbi Kerry Olitzky, Big Tent Judaism/Jewish Outreach Institute, they discuss what our synagogues might be like were a Conservative/Masorti synagogues choose to respond positively to demographic change implied by intermarriage. And they raise some of the issues that will have to be thoughtfully considered and employed. To read this thought provoking article, click here. Chicago Jewish News Guide to Jewish Chicago, honored our very own Burton Fischman, more commonly known as 'Captain Ruach' for his spirited rendition of Birchat HaMazon (the blessings after a meal), as a Jewish Chicagoan of the Year for 2013-2014. To read the article, in which his FJMC is prominently mentioned, click here. And from his FJMC friends, a hearty (and spirited) Yasher Koach!! And you can leave your comments to Captain Ruach below. President Myles Simpson unveils an on-line blog, to facilitate communication between members and leadership, about the issues which clubs and members are concerned about. Through this blog Myles hopes to accomplish two key objectives: (1) share information as well as his views on a variety of topics related to FJMC, Men’s Clubs, and the Conservative Movement that you will find interesting and relevant; (2) provide a means for you to comment on what he has written and offer your own views on these topics. The topics that he will cover will range from basic information on how to build and strengthen your club, to provocative issues like the future of the Movement or the role of men in Jewish life. You'll find his blog "Myles Musings" under the About Us menu item. 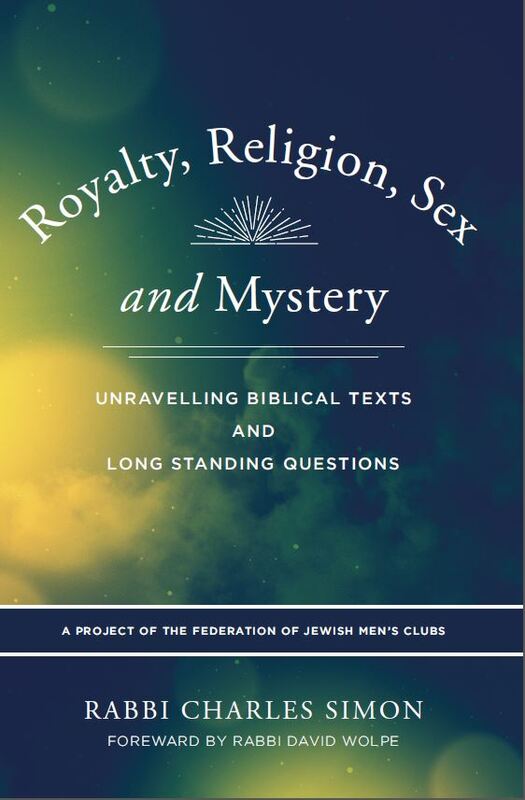 The latest FJMC volume dealing with men's issues, Jewish Men at the Crossroads, is now available for purchase in the FJMC store. Click here. The Board of Directors of the FJMC has approved an increase in Men's Club dues of $1 per club member, effective in our next fiscal year (starting Sept. 1, 2013). The FJMC is also launching a Membership Campaign for our Men's Clubs to help you grow your membership, starting at Convention. We’re developing new training and promotional materials to help you attract new members, which will also be previewed at Convention. Now here is the real good news - when your club is successful with its membership campaign, it will receive a 50% discount for each new member over your membership totals for the current year as reported to the FJMC. As an example if you grow from 75 members to 85 members next year, instead of your dues being $935 in the following year, they would only be $880. The FJMC is delighted that over the past 10 years we have only raised dues by a $1 and we have been able to keep membership affordable to allow for maximum participation in the organization. Please share this information with your clubs. A Briefing Package describing the dues increase, membership campaign, and dues discount with details and examples can be downloaded from our website by clicking here. Questions can be sent to Myles Simpson, VP Region and Club Services, at myles.a.simpson@fjmc.org. In addition, incoming President Myles A. Simpson has selected four additional men to serve on the Executive Committee: Bill Becker (Seaboard), Dave Mandell (N New Jersey), Warren Sufrin (Tri-State), and Bruce Tomar (Mid Atlantic). We wish all the nominees and appointees a hearty Mazel Tov, Yasher Koach for the work that got them to this point, and for the efforts on behalf of the FJMC they'll be making in the coming years! the morning of Convention, Wednesday, July 24th, prior to the Convention activities beginning. The Conference fomat of panel presentations and multiple breakout sessions will have two tracts: a novice tract for those just beginning the process or retirement planning, with such subjects as preparign to operate independently; what to do with inheritance; Long Term Care insurance: assessing Financial professionals; Budgeting; Estate Planning; and Tax Planning, charitable donations and mission investing. An intermediate tract will be available for those who have dealt with many of the initial efforts, and will cover: budgeting for retirement and setting investment goals; advanced investment area to tempt you, including EFT's, MLP's, REIT's, Oil Well, Drips, and selling Call options; diversification options for lowered risk and greater rewards; Israeli bonds as a part of a smart portfolio; and what you can learn from Newsletters. For further information, check the Wealth Management Seminar page at the Convention web site, which can be reached by clicking here. Social Networking: FJMC has both a Facebook and Twitter presence (FJMC HQ, FJMC Convention 2013), and (@FJMC_HQ), so you can hear the latest news of the orgnization? Become a follower on each, and spread the news, telling your club's members to join in on the conversation. The FJMC adopted a new tag line..... "Leadership, Innovation & Community" which in a short three-word expression, encapsulates what Men's Clubs and Brotherhoods bring to the Jewish Community. It strengthens LEADERSHIP - mentoring leaders at the club, region and international level. It does this through the development of INNOVATIVE programming and material for our clubs and the member families of the Conservative / Masorti movement world-wide. And it builds COMMUNITY which allows Jewish men to form meaningful long-lasting relationships based on camaraderie, common interests and core values. FJMC brings meaning to the lives of men, and through our programming, touches hundreds of thousands of people each year. In the coming months, you'll be seeing the new tag line, and a new logo, used throughout the organization to create a unified identity. Some call it creative, some may call it colorful, but whatever you want to call it, the FJMC’s Build-a-Pair program reached new heights in 2012, as 1220 youngsters assembled Build-a-Pair model tefillin, and learned about the mitzvah using FJMC Build-a-Pair Curriculum and kits. The Build-a-Pair concept, a FJMC Torch Award winning program, is a fun and educational program for 5th through 7th graders, and is an adjunct to the World Wide Wrap held on Super Sunday, February 5th. Students learn about Tefillin, construct ‘model’ Tefillin in which they place Hebrew script which they write, insert ‘straps’, and create ‘wRAP’ songs to sing during the World Wide Wrap. And speaking about the World Wide Wrap, 194 clubs from around the world, including Australia, El Salvador, France, Great Britain, Germany, Israel, Portugal, and Spain, (which is why it is called the WORLD WIDE WRAP), as well as throughout the United States and Canada, in Conservative / Masorti congregations, learned about and celebrated the mitzvah of tefillin. With the spreading of the Wrap to more and more countries, will the FJMC have to rename it once we have a colony on the moon? The FJMC's Hador Habah initiative, to involve younger men in synagogue life, was recently highlighted in JWeekly.com, a publication of the San Franciso Jewish Bay area. “We’re trying to make men realize the tremendous impact they have on their children,” says Rabbi Charles Simon, the executive director of the Federation of Jewish Men’s Clubs, who writes and speaks extensively on the importance of men volunteer taking charge of their personal lives.